The Bahamas Financial Services Board and the Insurance Commission of The Bahamas have announced that the Selection Committee has decided on the recipients for the two scholarships they provide for the Associates in Captive Insurance designation. The Bahamas Financial Services Board (BFSB) and the Insurance Commission of The Bahamas (ICB) have announced that the Selection Committee has decided on the recipients for the two scholarships they provide for the Associates in Captive Insurance (ACI) designation, offered by the International Center for Captive Insurance Education (ICCIE). The scholarship initiative was launched in 2013, in collaboration with the Bahamas Insurance Association (BIA) and the Insurance Institute of The Bahamas (IIB), both of which also serve on the Selection Committee. Designation students complete a comprehensive captive insurance education programme–including ICCIE’s own proprietary curriculum and testing–in order to earn the ACI professional designation. 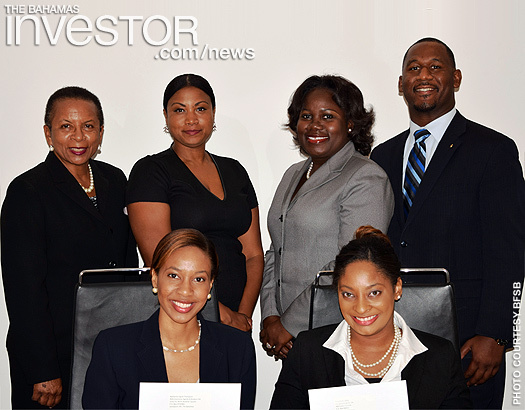 The recipients for 2015 are Rashanna Ingrid Thompson, an account executive at RMS Insurance Agents & Brokers Ltd; and Yolanda G Moss, an account executive at JS Johnson & Co Ltd.
Allen explains that one of the criteria the Selection Committee looked at in particular was the track record of applicants in terms of their dedication to enhancing their skills sets through ongoing professional development. Additionally, consideration was given to employment history within the sector, as well as to personal statements by the applicants on why they were pursuing the scholarship. Both of these applicants impressed the committee with their perceived and planned role in the development of the captives sector and the financial services industry as a whole. Morton Salt, Inc has announced the appointment of Chad Walker as vice president, general counsel and corporate secretary. In this role, Walker serves as chief legal counsel responsible for leading Morton Salt's legal function across all businesses and operations in the US, Canada and The Bahamas.